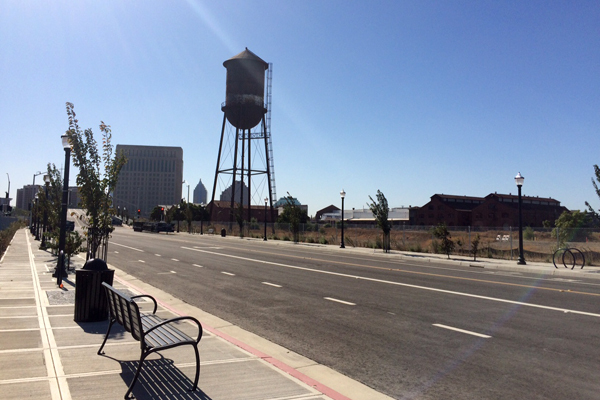 Redevelopment of the Railyards area in downtown Sacramento offers a unique opportunity to reinforce and expand the role of the Central City as Sacramento’s regional center for business, commerce, government, entertainment, housing, education and culture. With projected buildout in the late 2020s, the Railyards will house a major transportation hub and will create a vibrant transit oriented mixed-use district as an integral extension of the Central Business District and as a key tourism destination. The Railyards is a collaborative planning effort between the City of Sacramento and Inland American Sacramento Holdings. The 244-acre brownfield site is located immediately north of downtown Sacramento and plans to be a mixed-use hub for entertainment, retail, housing, office, theaters, parks, hotels, and museums. The guiding plan for the area envisions the site to include a Kaiser hospital and medical campus, a major league soccer stadium, over 1.0 million square feet of retail, 2.3 million square feet of office, varying residential housing units, and recreational and cultural uses. EPS prepared a public facilities financing plan, fiscal and economic impact analyses, and provided technical support for development agreement negotiations. Currently, EPS is involved in the process of preparing and updated fiscal impact analysis and will update the public facility financing plan. Project received full entitlement through the City and the City and property owner leveraged a combination of state and federal grant funding to relocate the railroad tracks, consistent with the plan, and to construct Railyards Boulevard (the main east-west backbone roadway in the project) as well as two bridge crossings over the newly relocated tracks.